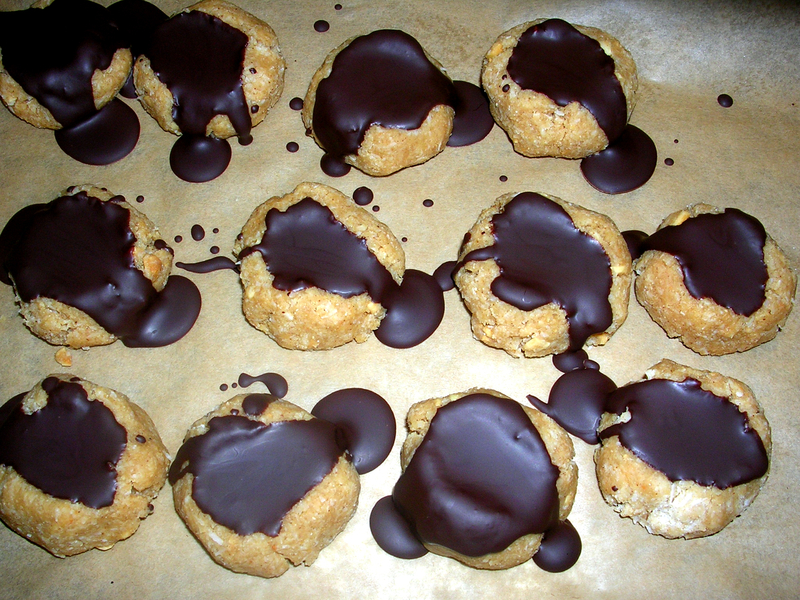 When I saw Jessica’s recipe for no-bake peanut butter cookies on How Sweet It Is, I immediately became obsessed. So, I started no-baking as soon as I got home that evening. 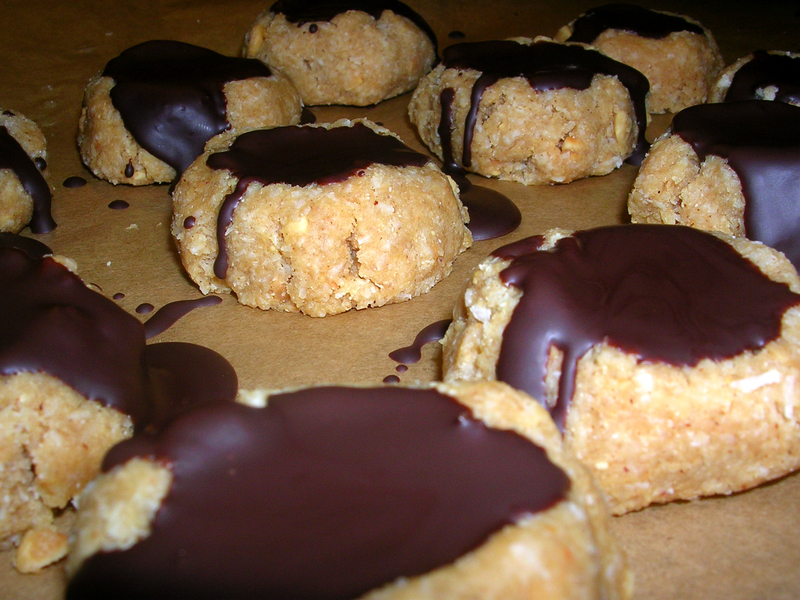 Here is my tweaked recipe for coconut peanut butter thumbprint cookies! Mix all of the ingredients together in a bowl. 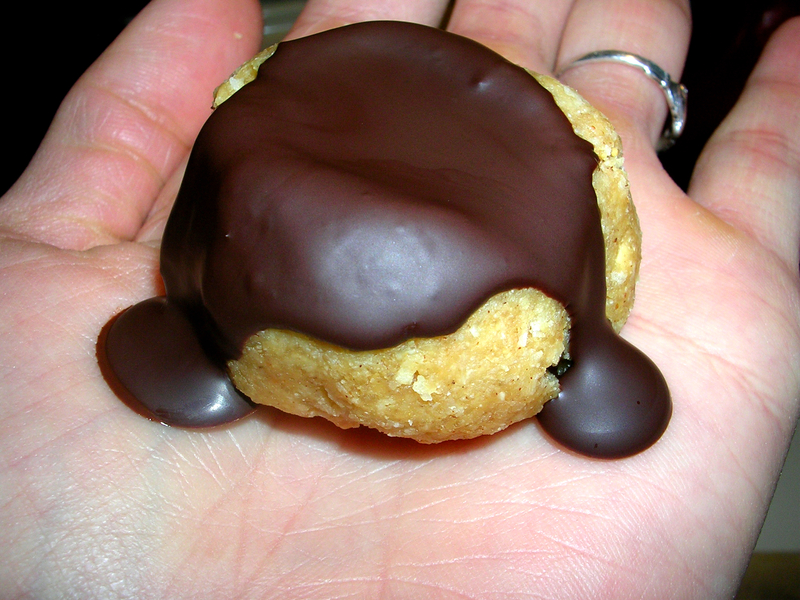 Roll the dough into balls and press thumb or index finger into the center to make a little pocket for the chocolate! Melt the chocolate (I used 72% cacao and melted using a double boiler method). Fill each pocket with chocolate! Refrigerate for 30 minutes and then enjoy! Wow! How wonderful do these look. I am definitely going to give these a try this weekend. Thanks so much for sharing! I am your newest follower. Thanks Erica! These cookies are soooo easy! AND awesome tasting! Thanks so much for stopping by– I love your blog! Waw!! These bite size cookies look amazing, wonderful & must taste awesome too! I am going to make them tomorrow!! That’s for sure! Holy moly! My husband is going to flip over these! We bought coconut flour and my attempts at baking with it have been disasters. This looks amazing- and guaranteed to taste rad.